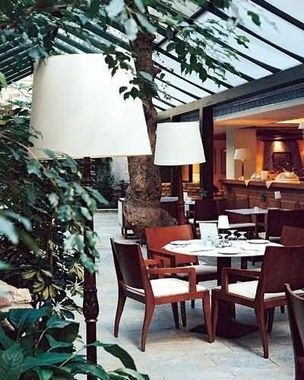 Herodion Hotel Athens, Hotel Greece. Limited Time Offer! Herodion Athens. 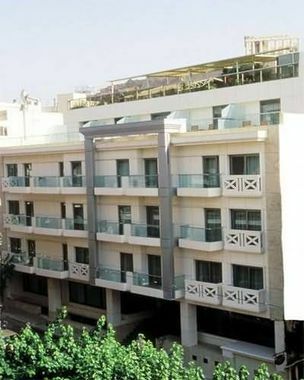 Hotel "Herodion Athens" has received 4 stars. The residence is excellent for exploring Athènes. This accommodation has 90 modern bedrooms. Guests will appreciate the comfort of the soundproof rooms. Thanks to the relieving air conditioning, the temperature is never too high. Observe the beauty of the private garden. Don't forget to bring your swimwear since this hotel provides its visitors with a swimming pool. By practicing soccer you have the opportunity to make your stay a more active one. After all your daily busy activities, the spa and whirlpool bath are excellent to restore your strength. 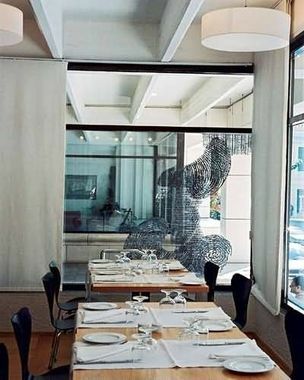 The hotel has its own restaurant which proudly serves its Mediterranean and Greek specialties. 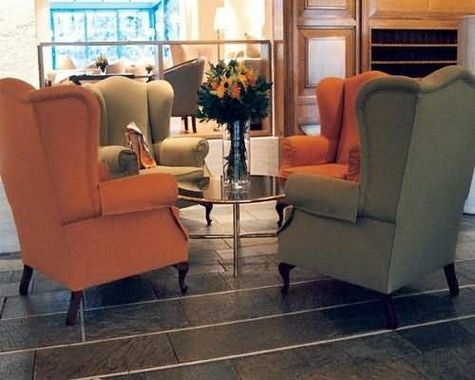 For a drink after dinner, guests can take a seat at the lounge bar or bar-restaurant. To add to your stay, breakfast is included in the room's rate. Of course, from inside the hotel, you can go online. The hotel is a little bit outside Plaka, but in walking distance. The hotel is renovated, the room was not so big but very ok. we asked for a room with a balcony, but did not get, but we had a view of the Acropolis from the room. The staff speak ok english, the breakfast was good, the roof top view and jacuzzi was great, BUT, our refridgerator did not work, and even if we stayed there for 5 nights, and asked the recepfor help, they did not lift a finger to fix this...so we could only enjoy warm water and refreshments when we needed something. They even said in the reception (when we asked them the third time) that they did not belive the refridgerator was broken...they did not check. If i will go back? Maybe. Pay for internet. Dirthy bathroom. Dark room. - the staff is not nice and helpful. + Firstly location: very close to Acropolis and Plaka district. Almost in front of touristic bus (nbr 400) stop. Then we liked because we asked through the website a room for 1 couple and 1 adult with view and they arranged exactly that. And finally good service and a beautiful terrace facing Acropole, with also 2 jacuzzis. 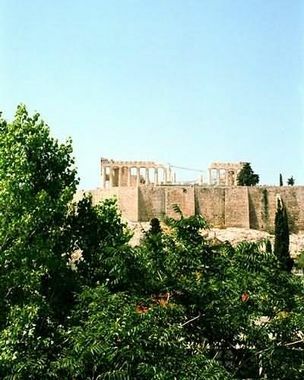 + Good Location to Acropolis by 5 minutes walk and quiet. - less choice of breakfast. + The roof top terrace and the lobby area with the reading materials.